A broadcast domain is a logical part of a network (a network segment) in which any network equipment can transmit data directly to other equipment or device without going through a routing device (assuming the devices share the same subnet and use the same gateway; also, they must be in the same VLAN). A more specific broadcast domain definition is the area of the computer network that consists of every single computer or network equipment that can be reached directly by sending a simple frame to the data link layer’s broadcast address. 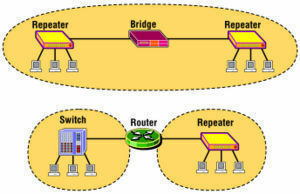 While any layer 2 device is able to divide the collision domains, broadcast domains are only divided by layer 3 network devices such as routers or layer 3 switches. Frames are normally addressed to a specific destination device on the network. While all devices detect the frame transmission on the network, only the device to which the frame is addressed actually receives it. A special broadcast address consisting of all is used to send frames to all devices on the network. The VLAN (Virtual Local Area Network) technology can also create a so-called “virtual” broadcast domain. A network built with switching devices can see each network device as an independent system. These groups of independent systems can be joined into one broadcast domain, even if the computers are not physically connected to each other. This is very useful when administrating large networks where there is the need for better network management and control. Since a broadcast domain is the area where broadcasts can be received, routers restrict broadcasts. If a router receives a broadcast signal, it simply drops it. In other words, the edge or border router connected to the Internet will not up-broadcast or will not relay that broadcast message. This is problematic and not foolproof either. 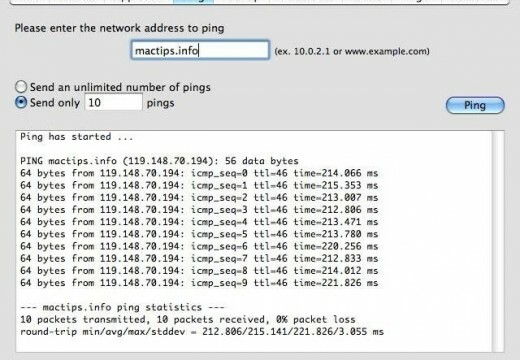 Suppose two networks exist that are connected to each other through a router and the first network has a running DHCP server that offers IP addresses to networked systems. On the other side, there is no valid DHCP server running on the second network. Offering IP addresses from the first network’s DHCP server to the second network’s systems can be a difficult task to accomplish since DHCP is a broadcast and the router that joins the networks drops the broadcast traffic. This leaves any DHCP request in the second network unanswered. Many router manufacturers provide capabilities for DHCP forwarding to solve this problem. 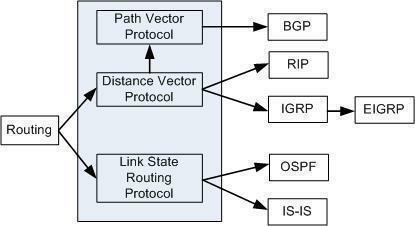 This can be bypassed by connecting the two networks with a well configured, Linux-based, purpose oriented software router. That will handle the job properly and prevent further issues. A broadcast domain can be perceived as a portion of a network that a network broadcast (an address resolution request of some sort of an announcement of availability) can reach. Messages like “Can I have the address of that network node?” or “I’m here, a part of this network” can be broadcasted. Again, unlike collision domains, broadcast domains can be started at several protocol layers, therefore the broadcast domain as a whole can be within a single LAN segment, but it can be routed over other segments as well. 263 queries in 0.315 seconds.